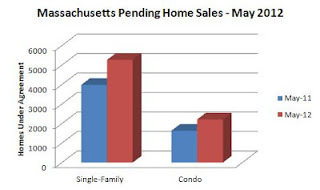 Today Massachusetts Association of Realtors released their May pending home sales numbers and for the 13th straight month, single-family and condominium pending sales have gone up. 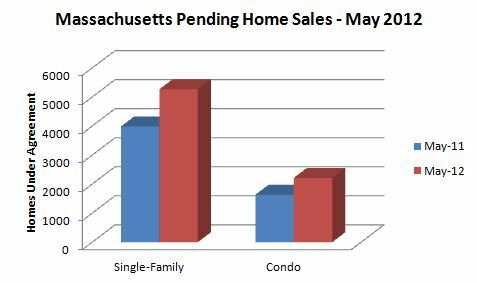 Pending sales were also up for both categories on a month-to-month basis as well. This was also the first month since we started tracking pending data in January 2009 that more than 5,000 homes were put under agreement in one month.